Intrusion Detection Systems (IDS) are widely deployed in computer networks. As modern attacks are getting more sophisticated and the number of sensors and network nodes grows, the problem of false positives and alert analysis becomes more difficult to solve. Alert correlation was proposed to analyze alerts and to decrease false positives. Knowledge about the target system or environment is usually necessary for efficient alert correlation. For representing the environment information as well as potential exploits, the existing vulnerabilities and their Attack Graph (AG) is used. It is useful for networks to generate an AG and to organize certain vulnerabilities in a reasonable way. 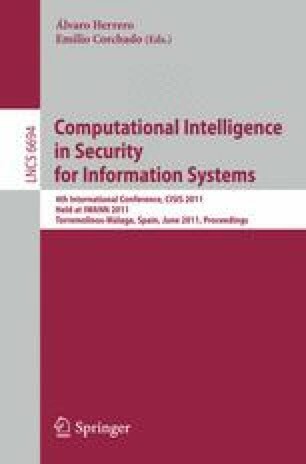 In this paper, we design a correlation algorithm based on AGs that is capable of detecting multiple attack scenarios for forensic analysis. It can be parameterized to adjust the robustness and accuracy. A formal model of the algorithm is presented and an implementation is tested to analyze the different parameters on a real set of alerts from a local network.